The city of San Mateo is ranked #15 of the 100 Best Places to Live in the US by livability.com. With a population of 97,200 and covering 15.9 square miles San Mateo is one of the largest suburbs of the San Francisco Peninsula, it is located between Burlingame to the north, Foster City to the east, Belmont to the south and Hillsborough to the west. San Mateo is a diverse demographic and economic community with jobs in technology, health care, finance services, government and the retail trades. 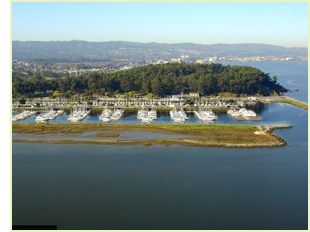 San Mateo has the best known natural area, Coyote Point Park, a rock cropped peninsula that juts out into the bay. Coyote Point is the home of CuriOdyssey, a wildlife museum and center and home of the Peninsula Humane Society. Downtown San Mateo is one of the largest, well developed, more prominent suburban downtowns in the San Francisco Bay Area. The downtown core contains over 800 shops and restaurants, many historical buildings from the late 19th century and early 20th century. Located downtown bordering El Camino Real, Central Park is a beautiful sprawling park with tennis courts, picnic areas, playground, baseball field, recreation center, miniature train and Japanese Tea Garden. Additional points of interest include Hillsdale Shopping Mall, San Mateo Preforming Arts Center and the College of San Mateo, home of KCSM radio station.